Cepstral Community • View topic - how do I go about this? e.g. level 4 room 14. I need to do this on a PC/laptop where the text to be spoken is produced by a program running on the PC, which in turn decides what text has to be spoken based on information that comes from a network connection. This is for internal use in our company and might be on 30 or 40 computers. Should I use the "voice software" with a single voice or do I need to get the SDK. Which would be the most cost effective and which would have the best speech quality? - If your application is SAPI-enabled (that is, it can interface to Microsoft's Speech API, version 5.1 or later) then you can just select the voice and ask it to speak, Cepstral voices included. - If your application is not SAPI-compliant, once you install one Cepstral voice, you get a command line executable called swift which you can use within a script to speak the words. The spoken words may be saved in a file and handed to the program, or provided on the command line as arguments. You have control over timing and pronunciation using SSML (http://www.cepstral.com/cgi-bin/support ... &type=ssml) and the user lexicon mechanism (http://www.cepstral.com/cgi-bin/support?page=lexicon). As always, download and test the voice you want before you buy. It could be from about 4 to 15 words at random intervals say, 30 seconds to 20 minutes. The application hasn't been written yet. I'm completely new to TTS. Can you tell me if I understand this correctly? If we use MSAPI, it comes with some free voices or we can buy a CEPSTRAL voice at $30 per voice. 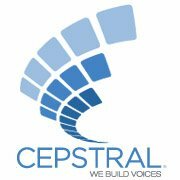 Are the CEPSTRAL voices better quality than the free voices? Clarity is the most important with the voice but it also needs to be as "pleasant" as possible. If we use swift, can we call swift from our application, can we call it from a WIN32 application and then carry on doing other things while it speaks? If you have two CEPSTRAL voices, how do you choose which voice to use? How much development time would we save using swift instead of MSAPI? Also, the application will be used internally in our company but we don't want every user to have to purchase and register each voice on their computer. We just want a simple installation process for each computer. Is there a way to handle that? Please give me a call to discuss licensing.